Pomegranates contain paraoxonase—a naturally occurring enzyme in the body that helps keep LDL (bad cholesterol) from accumulating in arteries. In one study, subjects who drank pomegranate juice for two weeks had an 18% increase in production of the enzyme. “A single pomegranate contains nearly a quarter of the USDA’s daily recommended amount of dietary fiber, which helps you feel full and maintain a healthy weight,” says Jennifer Franklin, a Registered Dietitian at the Vanderbilt University Medical Center in Nashville. One theory supporting its weight loss benefits is that it contains powerful polyphenols, which act as an appetite suppressant. Pomegranate juice eliminates free radicals from the body and inhibits the growth and development of cancer and other diseases. Its antioxidants stimulate the white blood cells to neutralize toxins in the body, in turn promoting a strong and healthy immune system. Pomegranate is believed to induce apoptosis, a process where cancer cells destroy themselves. Daily intake of a glass of pomegranate juice can slow down the growth of cancerous cells in prostate cancer. Moreover it appears to block aromatase, an enzyme that converts androgen to estrogen, a hormone which plays a crucial role in the development of breast cancer. Pomegranate juice has strong anti-bacterial and anti-microbial properties which help fight viruses and bacteria and boost our immunity system. It significantly reduces microbes that are found in the mouth commonly responsible for cavities and staph infections.. Its anti-microbial properties make it an inhibitor of HIV transmission. 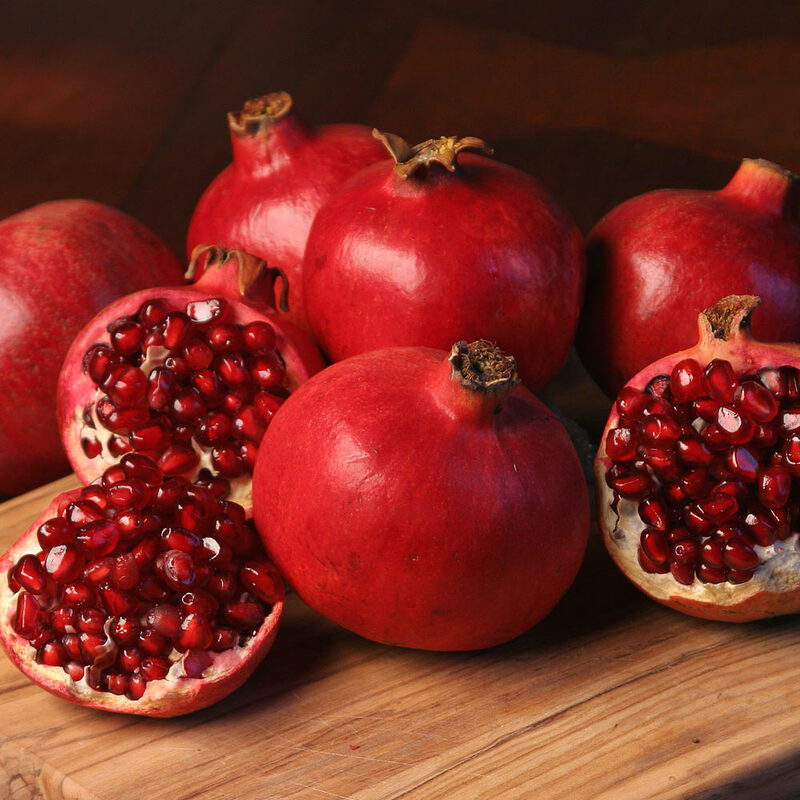 Out of all the fruits, pomegranate has the highest potential to inhibit the transmission of HIV. Pomegranates are also known to reduce high blood pressure. The juice of this fruit reduces lesions and the inflammation of blood vessels in heart patients. It is a natural aspirin, which keeps the blood from coagulating and forming blood clots. It even acts as a blood thinner – allowing for an unrestricted flow of blood through the body.